We appreciate your generosity which enables us to continue spreading the Gospel around the world. Your donations give us the ability to provide you Empowered Leadership Training on a consistent basis. These funds are used solely for this ministry and we encourage you to give and to support this ministry as you are led by the Lord. 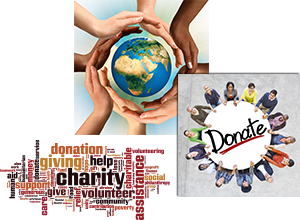 Stephanie Palmer Ministries is a 501(c) 3 non-profit organization in accordance with IRS regulations, and therefore all contributions to SPM are considered tax-deductible. All contributions to Stephanie Palmer Ministries are non-refundable. An annual contribution statement will be issued each year for all contributions that can be used for personal tax deduction purposes.